Jaw fractures can occur due to various reasons like accidents or trauma. It is very important to manage jaw fractures in the patients really well and treat them to bring back to their before state. Jaw fractures are very delicate state and need to be managed by expert oral surgeons. Preoperative antibiotics are given to the patients to tackle the state of the patients in a better way. Perioperative antibiotics are combined with these antibiotics so that the patients can be comforted during the treatment procedure and prevent the progression of the infections caused in the patients. The fracture is stabilized with the help for the maxillo-mandibular fixation procedure which involve the closed fixation and indirect skeletal fixation done by the expert oral surgeons. 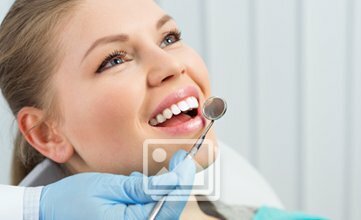 There are many other alternative treatment options available to the oral surgeons which include arch bars, MMF bone screws as well as orthodontic bands. First the bone is reduced and then the jaw bone is fixed with the above mentioned procedures. The healing time of the jaw fractures is on average of 4-6 weeks. The patient needs to visit the surgeon to discuss the progress of the condition of the patient after the procedures. There can be complications like loss of teeth in the respective arch where the operation was done or even loss of sensation of the mandibular nerve. Therefore, patients need to take proper care of themselves after the completion of the procedure. Special care is taken in the jaw fractures so that the growth of the jaws in the children is not disturbed in a major way. In this way, correction of protruded jaw Chennaiis famous and important to be done in children as well as adult patients. Thus, oral surgery has made it quite easy now for the oral surgeons to take care of the patients and treat them in an excellent way.